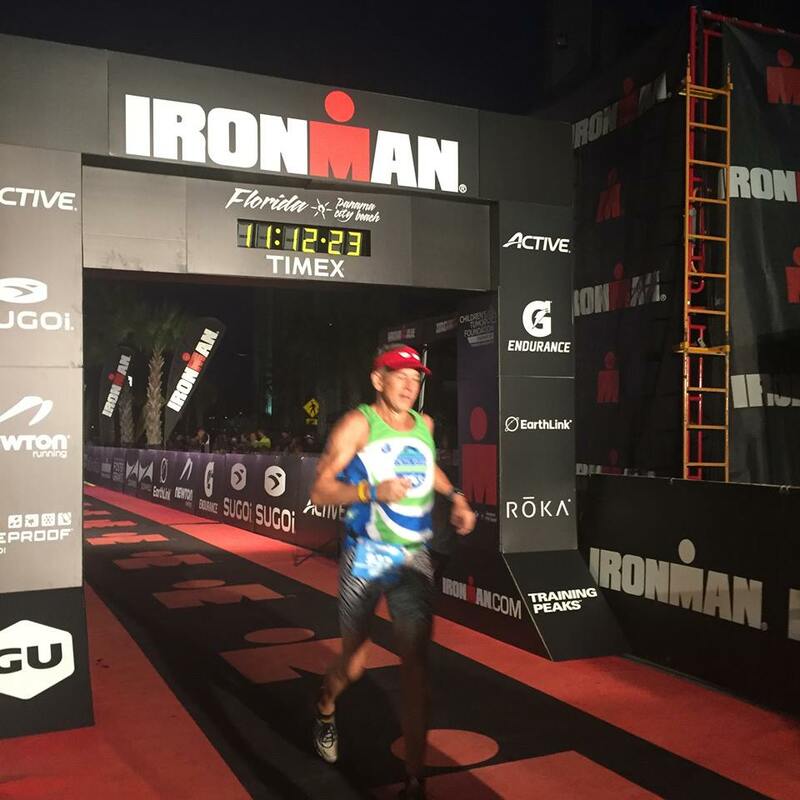 My original goal was to use all the bike training from Leadville to build my bike strength so I could get a top 5 finish at Ironman Florida and a chance to qualify for Kona. A few weeks after Leadville I tested my FTP on the bike and it was still well short of the 290 watts I thought it would need to be at to ride a competitive Ironman split. 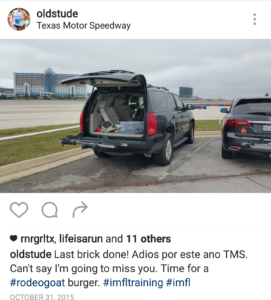 I spent September and October focused on building my FTP thru hard intervals, mostly by myself, at the 5 mile loop around Texas Motor Speedway. I really dreaded those rides after all the time I had spent on the bike leading up to Leadville. A few weeks before the race I did one last FTP test and had finally reached 290 watts. I should have been able to ride the race to 210 watts and still have fresh legs for the run, just like Chattanooga I thought. I was in a really good place. My swim was where it had always been, terrible, but IM Florida was always a wetsuit swim and would be in salt water, my bike should be stronger than Chattanooga based on my latest FTP test, and the weather should be cool in November so my run should be just as good as Chattanooga. I had a mild neuroma in my left foot but it had not bothered me much on my long runs so I wasn’t too worried about it. We had a large group racing and we all arrived in Florida several days before the race. 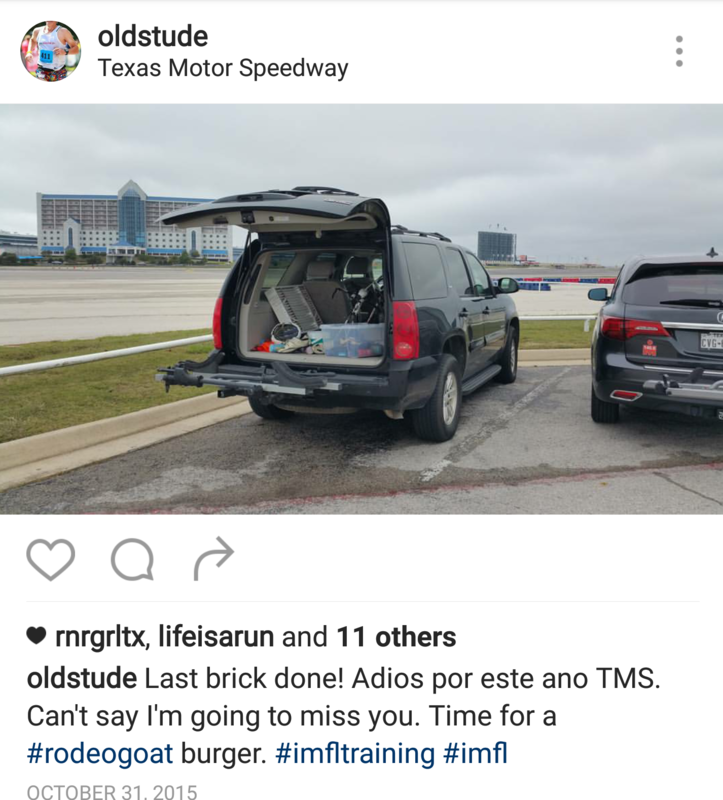 Most of us were staying in adjoining beach houses, that Lesley had hooked us up with, about 20 minutes from the race start. I was lucky to be in the “quiet” house with the Brazilian Mafia and The Choi. The quiet house is always the one Baha and Grinder are not staying in. 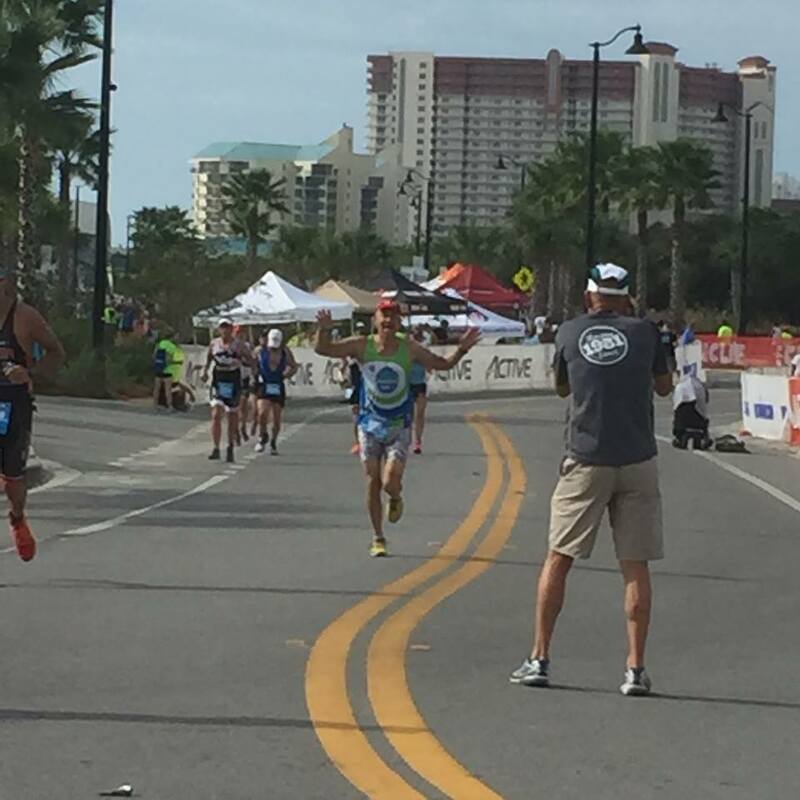 Swim (1:38:31 – 173rd in AG): For the first year in a long time Ironman Florida was ruled optional wetsuit. Because I thought I might be in contention for a Kona slot I had to go without since wetsuit racers were not considered in the results. Upon arriving at the beach we saw the large swells with the swim course floats slowly bobbing up and down. I had swum in similar conditions in Naples when visiting my Mom so I wasn’t too concerned. The swim start was a completely chaotic rolling start. While the large swells didn’t bother me so much the constant contact from other swimmers was giving me much anxiety, this was magnified more than usual because I didn’t have my safety blanket, the wetsuit on. I had to stop and tread water a few times to get my wits and find a more clear area of water to swim in. When I found clear lanes I just swam easy not wanting to get to out of breath due to my anxiety. 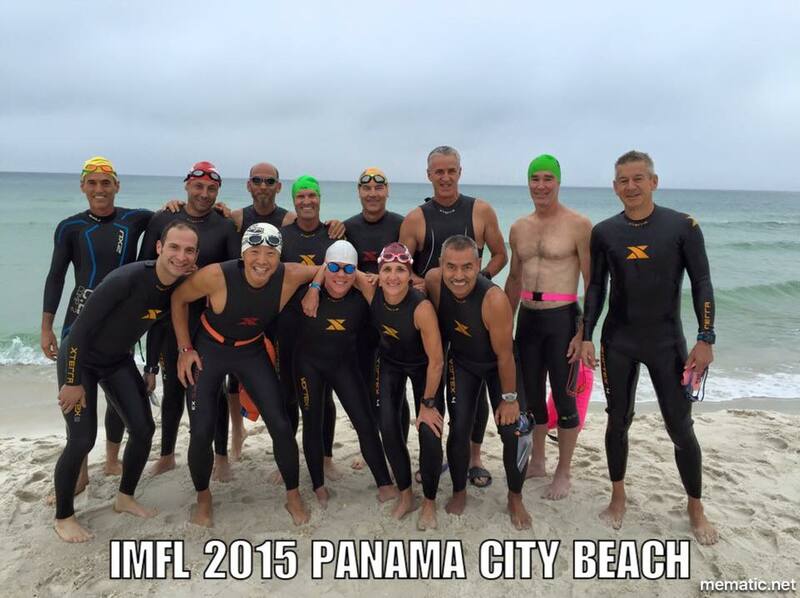 IMFL is a two loop swim with a brief run on the beach over the timing mat in the middle. On the second loop the under tow was noticeably strong and gave many other swimmers problems. I didn’t think it was too bad and just continued my leisurely second loop and was so glad to finally get out of the water. Bike (5:11:08 – 12th in AG): After having a great bike (for me) the previous year I was really looking forward to seeing what I could do. After about 20 minutes riding easier it was time to push my target power of 205-210 watts. The back of my legs where the hamstrings come into the glutes were pretty sore, my legs felt dead and I struggled to maintain those power numbers. I still had a respectable average speed of 21.6 MPH but my average power was 192 watts and I my HR was a very low 119 bpm ave. Clearly my bike legs were not rested enough from all the hard interval work I had been doing since finishing Leadville. I was pretty disappointed coming off the bike and figured between the swim and the bike splits I was out of contention to podium. Run (3:55:26 – 5th in AG): I was hoping for another miracle on the run like I had at Chattanooga. But the temperature was warmer than I would have preferred so I knew I was going to have to cut back my pace to start with and see how fast I could go and keep my HR down. I was able to maintain a decent pace at 8:30 or better for the first 10 miles but my HR started to drift to high Z2 and low Z3 for the last 2 miles and my neuroma pain started getting worse. I backed my pace down a bit to get my HR down to where it should be and was still just under 9:00 pace. I had started wearing my Newtons because they were supposed to be better for Neuromas but was desperate to get relief from the pain so at mile 13 I switched to Hokas I had left in my drop bag. I remember that I really enjoyed sitting in that chair while I changed shoes and lingered longer than I should have. I think it was then I decided to just enjoy the rest of the race slapping fives with the rest of the crew along the race course and cheering them on. It was clear my run wasn’t going to be great (I’d later find out there were only 4 guys in my AG with better run times). My pace continued to slow but at least I was having a good time. With 2 miles left I did the math and it looked like I was going to be close to an 11:00 finish. I was able to muster a little more effort to finish the run, a little faster than I had been running (I avoid saying a strong finish) and finished with a 10:59:00 overall time for 13th in the 50-54 AG. 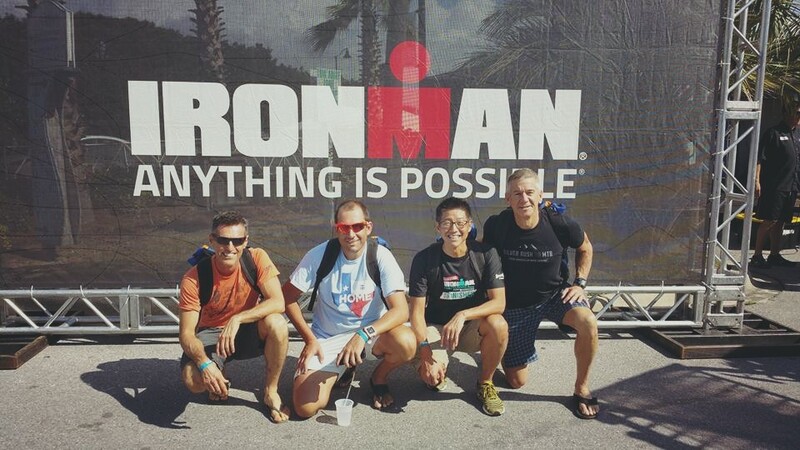 I later decided I wasn’t going to race an Ironman in 2017 even though I would age group up to the 55-59 AG which should be easier to qualify for Kona. That two months between Leadville and IMFL had just taken too much desire out of me. I can come back when I’m ready and focused.